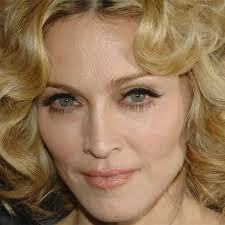 Pop superstar Madonna has urged fans to make donations to her charity to mark her 55th birthday on Friday. The singer is celebrating the milestone by boosting funds for her Raising Malawi foundation, asking devotees to hand over their cash to help her surgeon friend Dr. Eric Borgstein continue working with sick children in the country. Madonna made sure orphaned children in Malawi had a merry Christmas – she sent boxes of toys, clothes and other gifts to her charity in the African country. The Holiday hitmaker brought some festive cheer to parentless children by shipping the aid packages – which also contained chocolate and sweets – to staff at the Raising Malawi foundation to hand out to local kids. Madonna founded the charity to bring an end to the poverty and hardship suffered by orphans in the landlocked region. She has also adopted two children from the country.